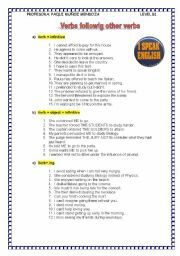 Hello I love teaching, I teach at a language school in Andalucia, I teach levels A1 to B2 and my students are aged 14 to no limit. I have many adult students. I am very happy to be one more of your members. 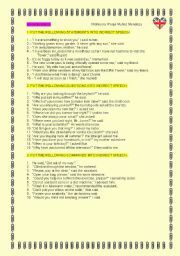 A GOOD WORKING SHEET TO PRACTICE ALL WAYS OF EXPRESSING THE FUTURE.HUGS. 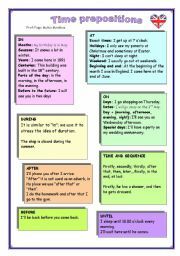 REVIEW OF PRESENT SIMPLE, TIME PREPOSITIONS ( IN, ON, AT). 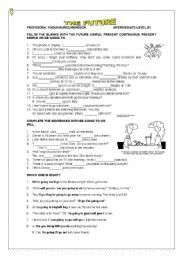 SUBJECT AND OBJECT PRONOUNS, ADVERBS OF FREQUENCY PLUS A PORTFOLIO TASK. THEORY ON CONNECTORS WITH EXAMPLES FOR LEVEL B1 PLUS A MULTIPLE CHOICE TO PRACTICE, VERY HELPFUL BEFORE THEY START WRITING ESSAYS. 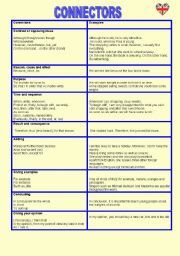 A MODEL FOR AND AGAINST ESSAY. 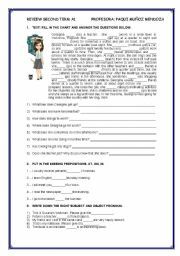 TIPS TO WRITE AN ARGUMENTATIVE ESSAY. CONNECTORS AND A WRITING ASSIGNMENT. 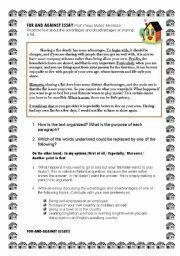 A THREE PAGES PRACTICE OF INDIRECT SPEECH: COVERING STATEMENTS, QUESTIONS, COMMANDS AND PARTICULAR STRUCTURES BASED ON THE GRAMMAR WORKING SHEET. VERY COMPLETE. 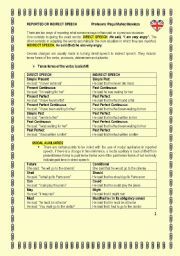 FIRST PAGE THEORY ON TIME PREPOSITIONS, USEFUL WHEN THEY LEARN DAILY ROUTINE TO KNOW HOW TO USE THEM TO WRITE ESSAYS AND SECOND PAGE PRACTICE ON TIME PREPOSITIONS ( ON, IN, AT). IT IS GOOD TO SHOW THE STUDENTS THE GROUNDHOG TRADITION THAT TAKES PLACE ON THE SECOND OF FEBRUARY EVERY YEAR.YOU CAN ALSO SHOW THEM THE TRAILER OF THE FILM AND GROUNDHOG DAY 2008 FROM YOUTUBE. I HAVE TRIED TO UPLOAD THE OTHER PARTS BUT THE SYSTEM DOES NOT ALLOW ME. 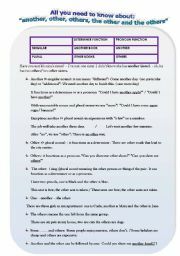 A SET OF MULTIPLE CHOICE AND OPEN QUESTIONS TO ACCOMPANY THE PPT AND CHECK FOR UNDERSTANDING. HUGS.